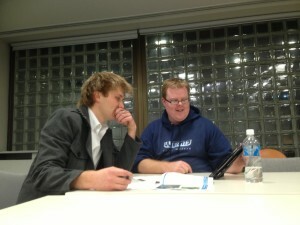 Podcast 005: Who is Ultimate Youth Worker? Today’s podcast is a quick one to answer some of the questions people have about Ultimate Youth Worker as an organisation. We know that you want to be the best youth worker you can be. We know you want training. You want the right knowledge. You want support from management. We also know that you probably aren’t getting any of this either. Around 10% of youth workers get these things. The remaining 90% range from mediocre to down right criminal levels of support. It’s no wonder 21% of workers leave the youth sector every year. So last week saw Britain vote to leave the European Union. The Brexit referendum saw an unprecedented youth voice get quashed by the roar of the elderly seeking a return to a Great Britain of old and Baby Boomers who are worried that their pensions are being sent oversees. Throughout the campaigns the fear mongering was phenomenal. From concerns about refugees and financial performance to the beliefs of politicians every opportunity has been taken to spread fear in the Empire. The most concerning issue from this whole ordeal was how easily this happened. 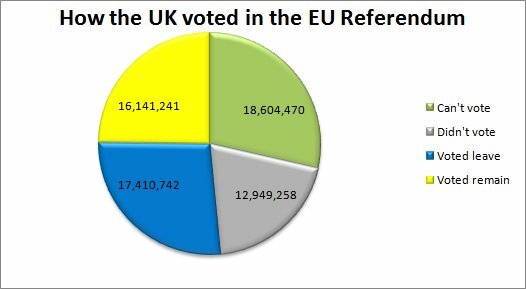 Almost half of the population of the United Kingdom either didn’t vote or were unable to vote in the referendum. Many of those who were unable to vote were young people and refugees. The very people that the Brexit vote will affect the most. 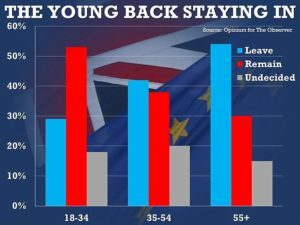 Of those who did vote, a significant proportion of of those who wanted to remain in the European Union were young people. This begs questions for youth workers, not just in the United Kingdom but throughout the world… When will we listen to young people? What does this mean for youth support services? What opportunities will avail themselves to young people and what will they lose? These questions among many others have been the focus of discussion by many of recent days. A country which has built itself on a nationalist framework will always struggle to let it go and play well with others. It was inevitable that Britain would leave the EU. Sadly until the voice of those who remember the height of British nationalism are silenced the generations will be stuck in the past. The push of Neoliberalism will always seek to see splintered economies where some will prosper and most will eek out a meager existence. The mere existence of a Union is an afront to those seeking freedom in trade. Young people have always been pawns to the will of the old. Young people are not listened to and do not have a strong enough platform from which to change this. As youth workers we spend our careers trying to amend this. We live in a society which looks at the here and now. The future is of little consequence. Climate change, Economics, social breakdown and corruption all come from wanting a better now rather than a better future. We have more food than ever before and yet more poverty. We have more medical technology and yet die from preventable disease. Our now is more important too us. Young people will always have to deal with the rubbish left by the old until there is a revolution. When power is held by one group over another there will never be freedom. Power must be distributed equally amongst all. Young people are under the power of those who are older, but that will only last until young people feel slighted enough to rise up. Better to share than be over ruled. The future is now uncertain for Britain and more widely the European Union. Both sides of the debate believe they know what will happen and both will be certain in a few years. But one thing is certain, Young people believe their voice is not being heard. Brexit just proved it. One of my favourite questions for youth work students is how much they love politics. It asks them if one wall is ‘I hate politics with a fiery passion’ and the opposite wall is ‘I love everything about politics’ where do you stand on the continuum? Most students herd themselves down the ‘I hate politics end’, I have even had a few leave the room completely. Every now and then a few likely souls brave the tides and step towards their love. They show their comrades that politics is not to be feared or despaired over but embraced fully. The fact of the matter is that all youth work is political. Whether you are supporting an individual young person through an education program or you are advocating for hundreds at a symposium, all youth work is from a political framework, in the political system and funded because of political ideals. As youth workers we must have a strong understanding of the political sphere and the process that helps bring the decisions to the fore. We need to know the players and their political bent. We need to understand how to influence these decision makers and help them hear the voice of our young people. Our profession is motivated to provide a world that listens to and embraces young people as equal citizens. This is a very political statement. It puts a flag in the ground that we will not give up. Sometimes it puts us politically against those in power. Sometimes our vision aligns. 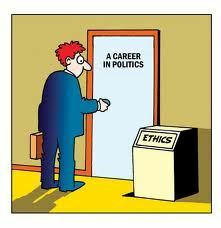 Either way our employment and our future is intrinsically linked to politics. Whether your a liberal leaning lefty or a right as rain conservative if you are a youth worker your work is politically challenging. You are more like a lobbyist than you think. Whats your take on political youth work? Over the past few weeks I have been reflecting on the pressures youth workers face because of the job. We have high rates of psychological distress, we deal daily with vicarious trauma, our jobs are often at the mercy of government whim and to top it of we work long crazy hours. This takes a massive toll on us as youth workers, unfortunately it also has ripple effects around us. I have seen a number of memes lately that have really got on my nerves. Mainly because they hit the bullseye. 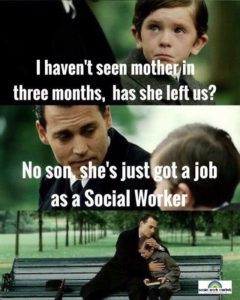 As youth workers and indeed human services workers in general we can become so focussed on the people we serve that we forget about the ones we love. Our partners, spouses and children forget what we look like as we spend every night out at meetings, running centres and programs. Our kids in particular feel the burden. I have met many young people over my career who had parents who were youth workers. most turned out pretty ok. A number of them however had fallen off the rails. This detour through trouble often came because they felt abandoned by their parent for other young people. Often hearing about how the more troubled kids need their parents attention at the moment. As a youth worker I have not been immune to this either. Studying, working weird and wonderful hours and being out at nights and weekends has been a part of my life for well over a decade. The final semester of my Masters degree I was working 80+ hours a week and was lucky if I saw my wife and children on a week night or more than a couple of hours on the weekend. As a family we knew this was only going to be for a season, yet the strain was clear. A few weeks ago my family grew by two. Beautiful identical twin girls. This has made me slow down and reevaluate. Some things have taken a hiatus, some have been cut fully. One thing has been a clear reminder to me in this time, My family is the most important people in my life. When it comes to balance my family wins every time. If we put others young people before the needs of our own children what message does that convey to them. I know there will be times where for the short term we have to put our work first, but if our own children continue to lose out then they will become the clients of other youth workers down the track. Recruiting is one of the most important jobs a youth service manager will ever have. Managers are responsible for two major tasks: results and retention. You can never get great results if you have mediocre people and you will never retain people if they don’t believe in what you are doing. So the answer is simple… recruiting the right people in the first place solves 90% of your issues. You do not need someone so badly that you have to hire bad candidates. The absolute worst thing you could do is hire the wrong person because you feel the need to fill a spot. This will inevitably hurt your team and your ability to get the results you so desperately need to show. We all have stories of when the wrong person had a role and they tore a team apart. There is no time ever that you need to have a full complement of staff over recruiting the right person. No matter what anyone says you can take your time to get the best. Tip 1 – Write a great position description: A great position description isn’t a fluffy document. Many HR departments have templates that have so much information and window dressing that you actually have no idea what you want a person to do, or even worse… you want them to do everything. Be clear and concise. The position description should include the duties you want the candidate to fulfill, the behaviours you want them to exhibit and the knowledge the must hold to do the role to which they are applying. If you feel like you are adding more than this it is simply window dressing. If you have the opportunity to have input into writing the position description make sure it is imperative that you make it fit your role perfectly. Is the document well formatted? Are there paragraphs? How are they justified (left or fully is the only way to go). Is it more than three or four paragraphs in length? Is it grammatically correct? Are the candidates contact details on the document? Has the candidate let you know where they heard about the role? Have they addressed it to you or just used a ‘to whom it may concern’? If a person makes it through the first round move on to their resume. Are the candidates contact details on the document? Do they have the qualifications and experience to fulfill the role? Is the document well formatted? Have they told you what they did in their roles or just put what they should have done from previous position descriptions? If they make it through these checks then you move on to the key selection criteria. If they make it this far they are OK. But, OK is not enough to fill your position. Its time for you to proceed to the next step. Tip 3 – Phone screen interview: If you have other staff members on your team this is a good opportunity to get them to show some leadership, if not you can do it yourself. A phone screen interview is a short 30 minute interview that starts with the question ‘tell me about yourself?’ and ends with a behavioural interview question. You don’t tell the candidate your decision here (provide a good no letter if they didn’t make it). This is the most cost-effective and timely way of eliminating candidates who don’t stack up. Behavioural interviewing is a must. You need to see how a person will react to situations which will happen regularly in the role they are applying for. If you aren’t getting your young people to help it’s not worth interviewing. The young people add a different dynamic that shows a lot about how the candidate works with young people. An hour is not enough. Even the worst people can put on a good show for an hour. Try an hour of panel interviews, testing such as DISC profiling or a big 5 and finish with a half hour interview with the team. If you do this as a minimum you will be leaps ahead of your competition. 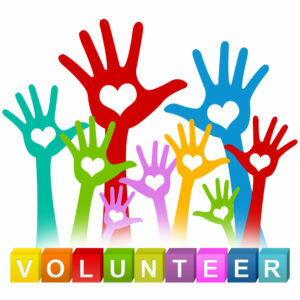 Tip 5 – It’s always better to have a bench: If you have a job opening and you already have a person who will fit the role you save yourself a lot of effort at the start. Most Government funding requirements expect transparent recruiting into roles, however if you have a person who will fit your role there is no rule that says you can’t get them to apply. Students who have done placements with you, former staff that you would have back in a heartbeat and casuals who are looking to expand their careers are all great people to have on your bench. If a role comes up that you think would fit a bench warmer then get them to apply. Tip 6 – References are not as useful as people think: If a person has put down a referee it is highly unlikely that person will have anything negative to say about your candidate. It is important to make sure they have all the credentials and qualifications they say they do. The best use of reference check is to qualify all the information the candidate has provided to you. Tip 7 – If they aren’t excited they aren’t the right person: We don’t mean they have to be extroverts (we love introverts) but they do need to show enthusiasm. Enthusiasm for the organisation, the mission and the role. If the candidate doesn’t have a smile on their face and a spring in their step they are most likely the wrong person for your role. You should take excitement for the role over just about every other metric you use in hiring. Everything else you can teach or have it taught to the person who gets the job. Passion is something which can’t be given. If you use these seven tips we guarantee you will get great candidates. These tips work for 90% of candidates 90% of the time. The rest comes down to your hard work and tenacity. If you want to take your organisation to the next level then you need to have the best staff. Recruiting Ultimate Youth Workers means setting the bar high and never settling except for the best. Once you’ve got the right person, don’t forget to keep them! Every year adults around the country set apart a week to celebrate the exciting time of life called youth! The arrogance of adults! That we would think young people deserve a week of focus and then pack it up for another year. That governments would put the measly scraps of funding towards running youth week is a telling symbol of their lack of care or respect for young people. The fact that the Federal Government still does not have a Minister for Youth is a clear indication of how inept government is at taking seriously the voice of young people. The more adults try to placate young people the more we miss the amazing things they have to teach us. When we hear people say that “young people are becoming…” we need to remind them that young people are already fully human with all the rights that come with being so. What it felt like to not be listened too. What it felt like to be ignored except to be reprimanded. The older we get the more we forget our own youth. As a society we pay young people less, simply because they are young. We believe that young peoples opinions are lesser because they have less experience. We believe that one day young people will make great citizens, but not quite yet. As a society we must submit to be taught by our young people. They are not only the hope for the future, they are our hope now. If we continue with our arrogance of age the future looks bleak. There has been some discussion in Australia over the last little while about lowering the voting age to 16. This would be a good start in showing young people how much we can learn from them. It would also go a lot further than a poorly funded week of placation.